Robert is the founder and Senior appraiser for Tru Appraisals. 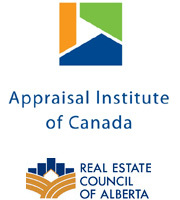 He holds the AACI, P.App Designation with the Appraisal Institute of Canada. Robert studied and obtained a Business Commerce Degree at the University of Manitoba. He has 25 years experience in commercial, farm, residential, reserve fund studies, and industrial properties. Terry obtained a Bachelor of Science from the University of Calgary in 1998. Canada and specializes in Residential Appraisals for Medicine Hat and area. Robert Irwin is a University of Lethbridge graduate with a Bachelor of Management (major in accounting). Robert received the AACI designation from the Appraisal Institute of Canada in November of 2018. He has over 10 years of experience completing commercial appraisals, agricultural appraisals, replacement cost new reports, and reserve fund studies in Medicine Hat and area.